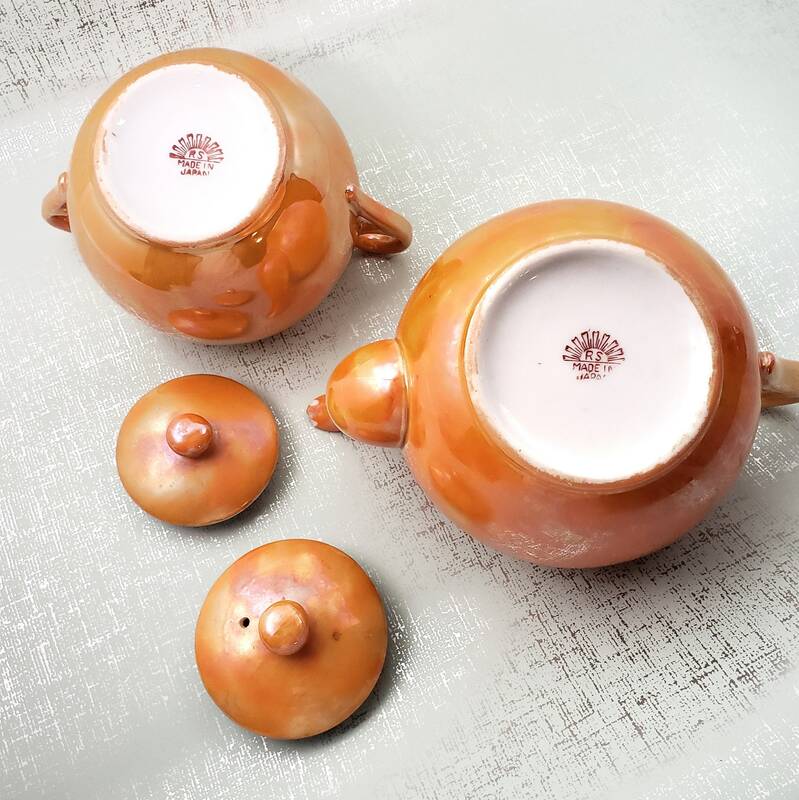 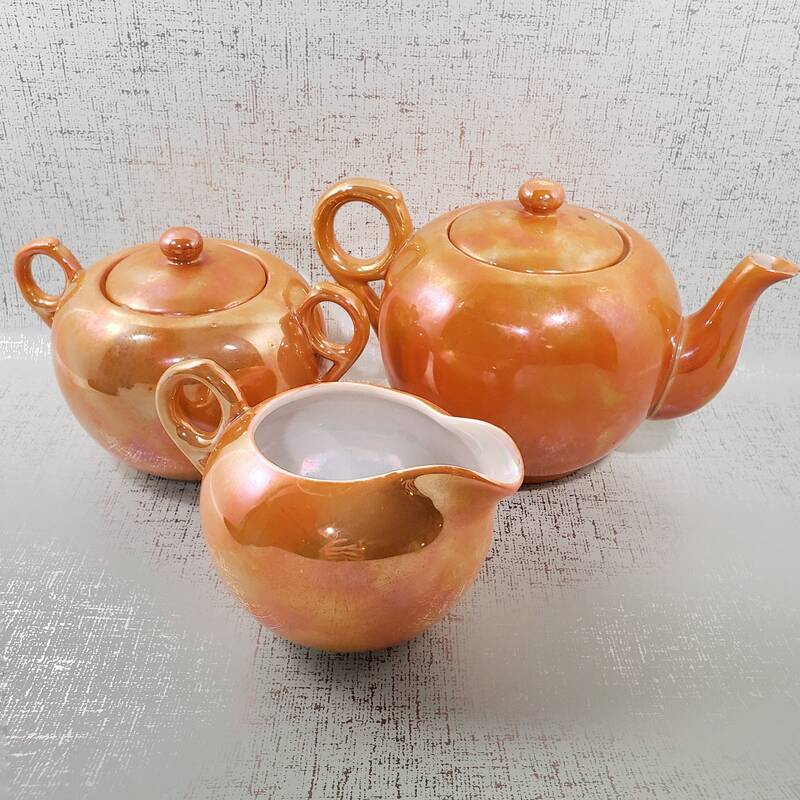 Orange Lusterware made in Japan Set. 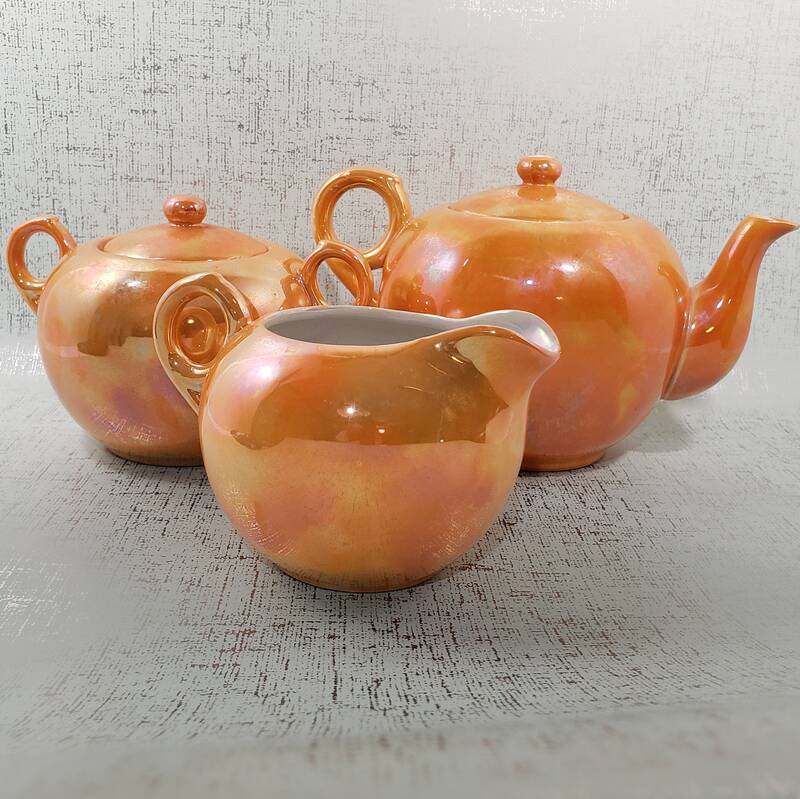 Pitcher, creamer & sugar dish with lids. 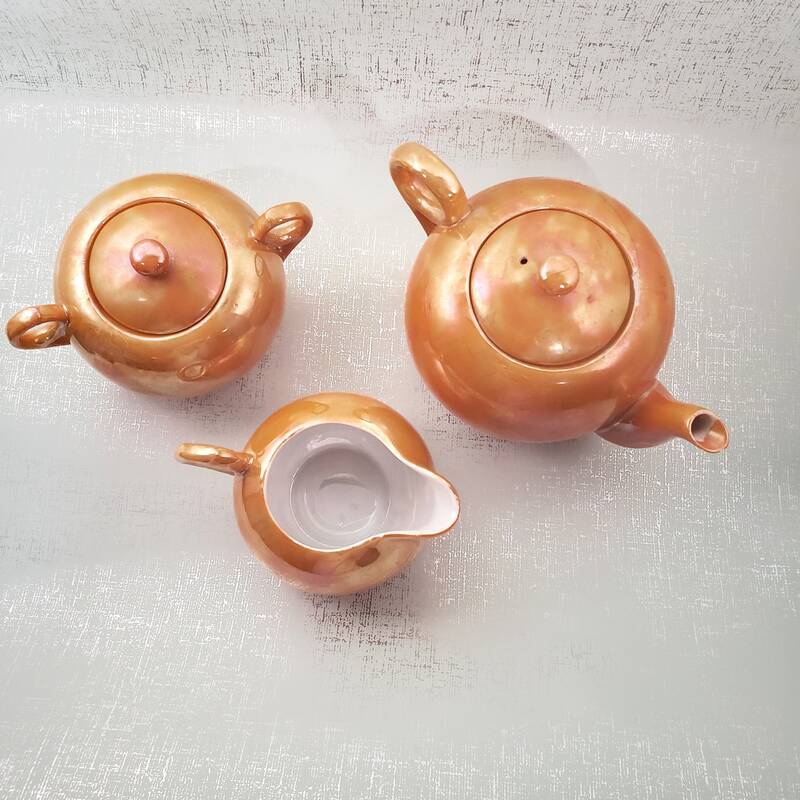 Tea pot has minor repair on the top, set in over all very good condition.